My Aunt Kathie is super smart, sophisticated, design savvy and just plain awesome. Her space reflects those same qualities and is so inspirational (just like her). The inspiration board is filled with postcards, beautiful papers, photos, well-designed business cards, old postage stamps, dried leaves and other randomly collected items. 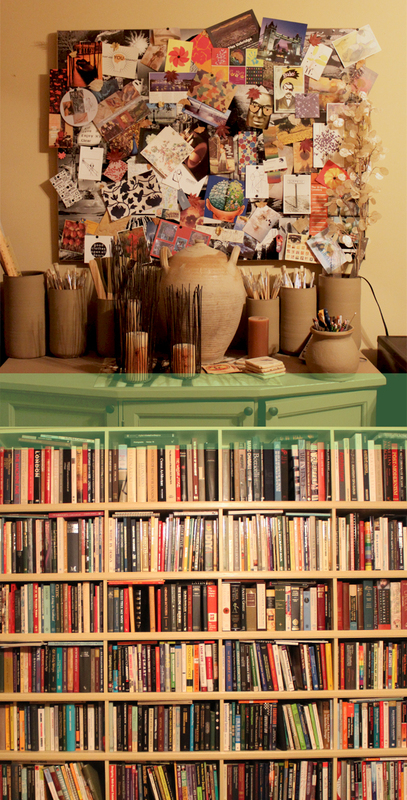 I love the way she used tall clay pots to organize rulers, paintbrushes, pencils and paint sticks. And books, books, books everywhere! 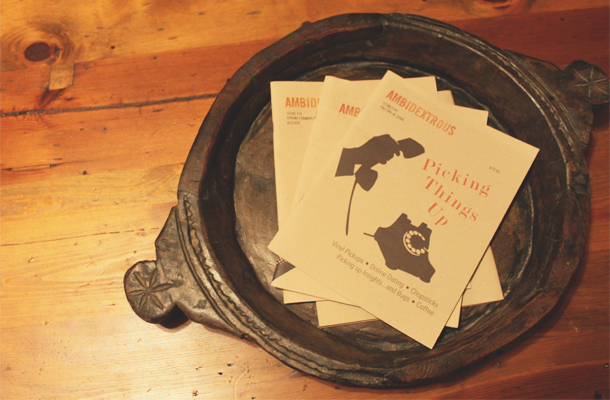 What a perfectly simple design on these little booklets on her coffee table. Can't wait to visit you in Seattle, Kathie. xoxo! thanks for stopping by! your blog is beautiful, clean and simple. love it.